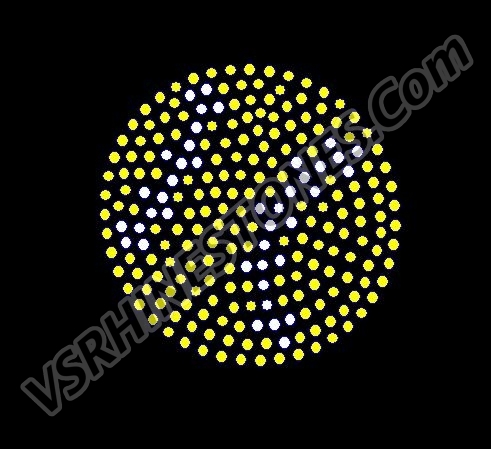 This unique multimedia rhinestone transfer is a MUST have for your spirtwear apparel. 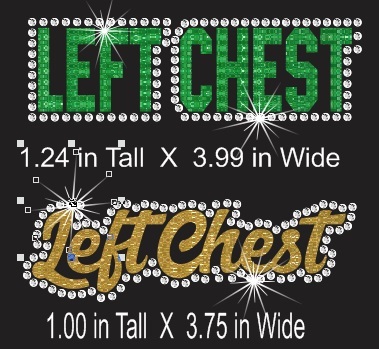 The design is either a multimedia design made with a rhinestone outline and a glitter vinyl fill or you can choose to get the vinyl wording alone. 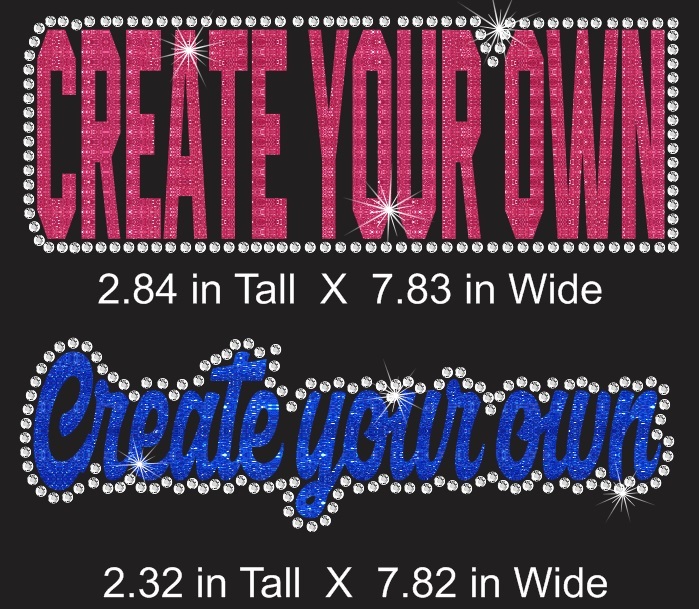 The design is outlined in clear rhinestones with the glitter vinyl fill of your choosing. 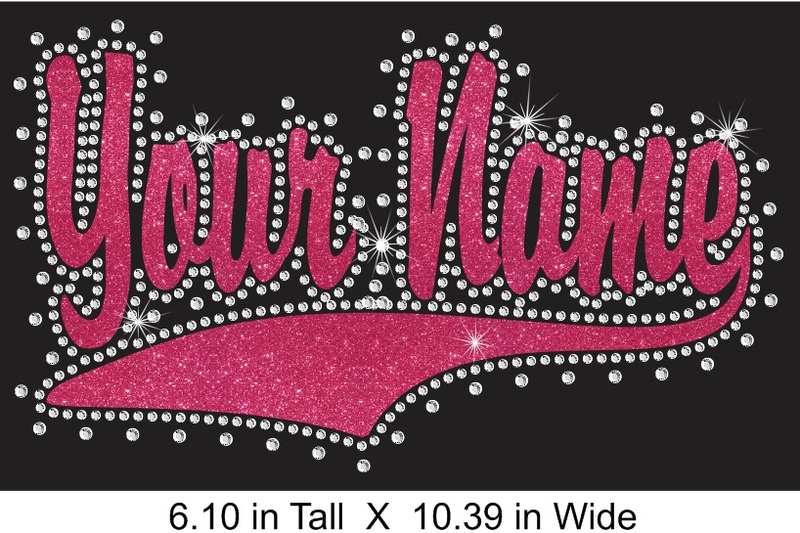 The approximate size this design is as shown in the picture and you can opt to get either the cursive or block font with our without rhinestones. 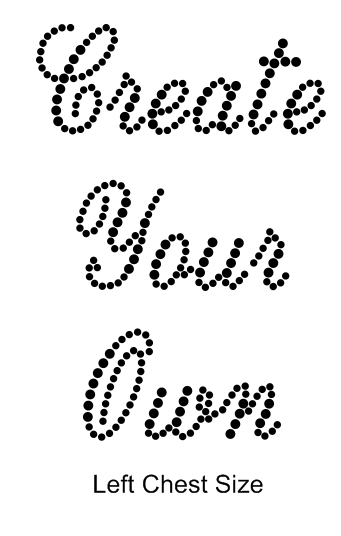 You can completely customize this to your needs! 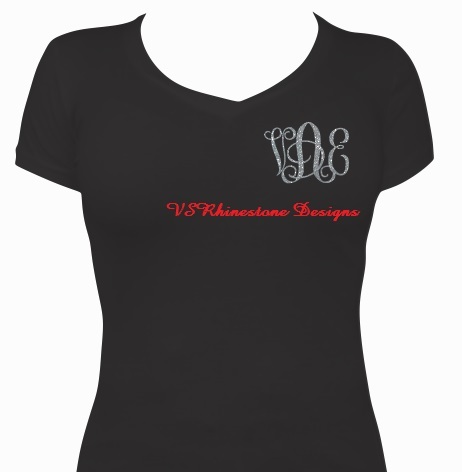 This option is perfect for a left chest or a baseball cap! Please make appropriate selection below.